Deported U.S. Navy veteran Steven B. Pierre, 51, poses for a portrait in a hotel room in Port-au-Prince, Haiti, Friday, June 29, 2018. Pierre served in the U.S. Navy from 1990 to 1991 and received a medical discharge after falling down a submarine ladder stationed at a Naval dry dock in Connecticut. He tore up ligaments and tendons on his left knee and is currently service connected. He receives pain killers for his knee injury, and because of his knee injury, he also suffers from secondary injuries to his right knee and lower back to compensate. "I never thought that I was an immigrant," said Pierre. "I always thought that I was an American because I was raised the American way." He has four children in the United States that grew up without him physically there the majority of their lives. 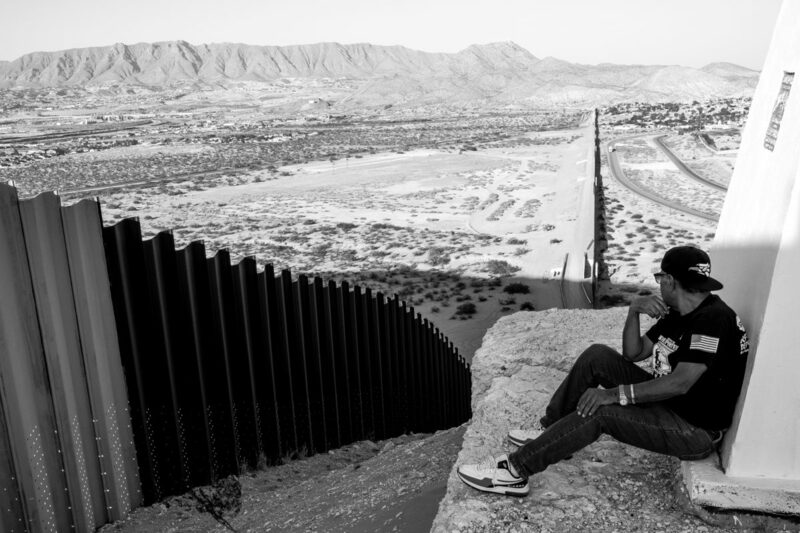 Deported U.S. Army veteran Jose Francisco Lopez Moreno, 73, overlooks the fence separating him from the United States as he sits along a hill in Ciudad Juárez, Chihuahua, México, Monday, July 23, 2018. Lopez Moreno was drafted to the U.S. Army during the Vietnam War in 1967. He deployed to Vietnam from 1968 to 1969 serving in combat even though he did not speak a word of English. Latino veterans in his unit would translate for him during his time in the service. He was assigned to work in transportation and at night he would be on guard duty at a helicopter base in Vietnam where he also performed rescue missions when helicopters were shot down. Twenty six years after his military discharge, Lopez Moreno was arrested in a hotel room in Wichita Falls, Texas. He was caught purchasing cocaine from a police officer and was charged with intent to purchase and distribute narcotics in 1995. He was sentenced to nine years in prison and served eight years behind bars with a one year reduction for good conduct. In 2003, he was deported to Mexico because the crime he was sentenced for is considered an aggravated felony—a deportable offense for a green card holder. 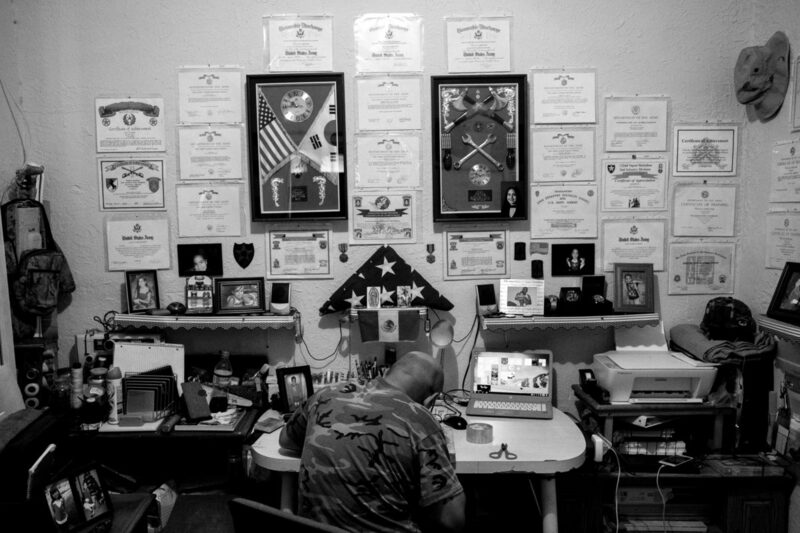 Deported U.S. Army veteran Ivan Ocon, 41, works on custom leather inside his workshop at his home in Ciudad Juárez, Chihuahua, México, Monday, July 23, 2018. Ocon served in the Army from 1997 through December 2003, including a tour in Korea with the 2nd Infantry Division and a deployment to Jordan in support of Operation Iraqi Freedom with Echo Battery, 1st Battalion, 7th Air Defense Artillery Regiment, 108th Air Defense Artillery Brigade a few months before the 2003 invasion of Iraq. After returning from his deployment to Jordan in 2003, Ocon was discharged under honorable conditions at his final duty station of Fort Bliss. According to Ocon, he failed a drug test after smoking marijuana to help cope with his depression and insomnia. He was demoted from his rank as sergeant to specialist. In 2006, Ocon was arrested for a conspiracy charge to aiding and abetting in a kidnapping that he failed to report to police. He served nine years in federal prison and was deported to Mexico after being picked up by Immigration and Customs Enforcement in 2016. 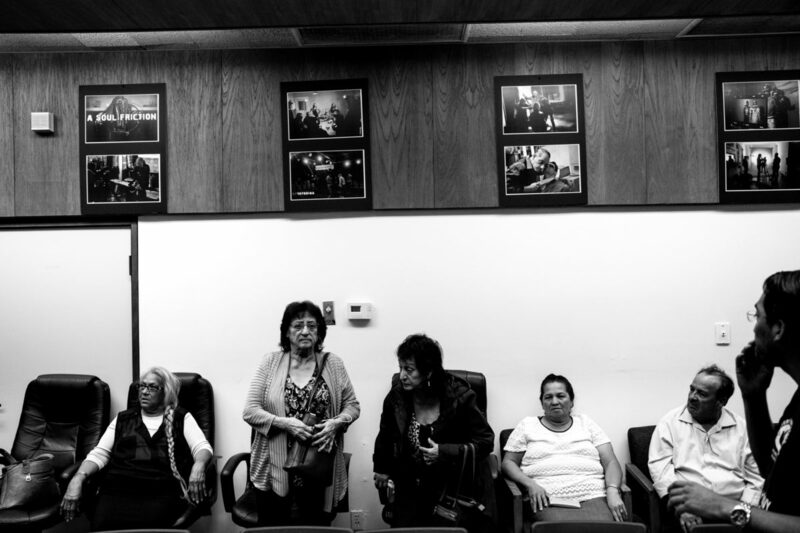 Supporters of deported U.S. Army veteran Hector Barajas-Varela—consisting of deported mothers and other U.S. military veterans—gather in Tijuana, Baja California, México, before he is sworn in as a U.S. citizen later that day in San Diego, Calif., Friday, April 13, 2018. Barajas-Varela, not present in this photograph, spent a total of 14 years living in Mexico after two separate deportations in 2004 and 2010. 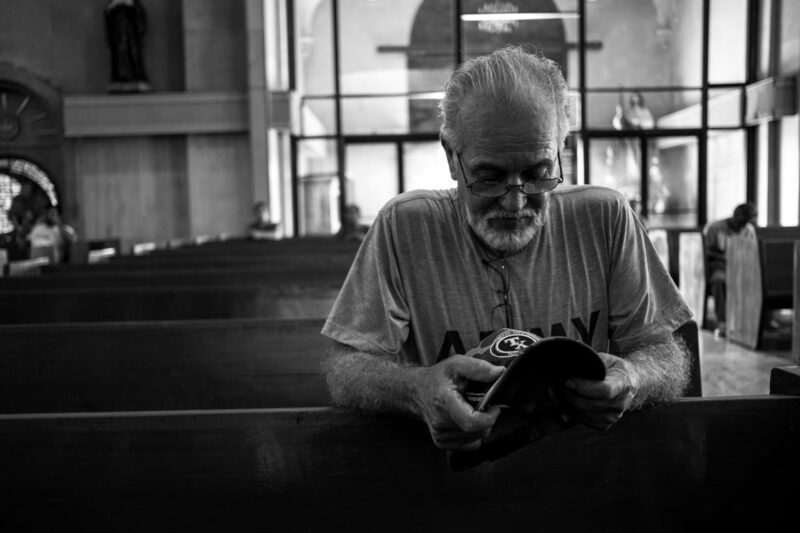 Deported U.S. Army and Vietnam War veteran Jose Bustillos, 73, prays inside the Catedral de Nuestra Senora de Guadalupe in Ciudad Juárez, Chihuahua, México, Friday, July 27, 2018. Bustillos served in the Army between 1964 and 1967 including two deployments to Vietnam where he was sent as a mortar sergeant to provide security on base and mechanical support for vehicles that were shipped out. He received an honorable discharge. Bustillos went on to work at the railroad and then as a truck driver, a job he kept for 20 years. In 1997, he was arrested for driving a U-Haul loaded with marijuana and was charged with transporting narcotics. Bustillos was sentenced to two years in jail and was deported in 1999 upon completion of his criminal sentence. He decided to illegally reenter the United States in the mid-2000s and was caught by ICE in 2012. He spent a year in detention and was deported a second time in 2013. I messed up doing what I did, I should have known better, said Bustillos. Hey, so Im paying the price. Hopefully some day, not for me, for the younger guys, I hope they can get back and get back into the states. Me Im 73, I dont really care that much, but I would like to go back and visit. His daughter, who was about six when he left, is now 26. Left to right: Deported U.S. Marine Corps veteran Juan Goico, 39; deported unidentified U.S. Marine Corps veteran; deported U.S. Army veteran Jose Marquez; deported U.S. Army veteran Felix Portorreal, 42; deported unidentified U.S. Army veteran, 33; deported U.S. Army veteran Juan Alberto Garcia Santos, 46; and deported U.S. Navy veteran Manuel Estévez Rondon, 53; gather for the first time inside a hotel room during a live Facebook video by repatriated U.S. Army veteran Hector Barajas-Varela, 41, in Santo Domingo, Dominican Republic, Saturday, June 23, 2018. 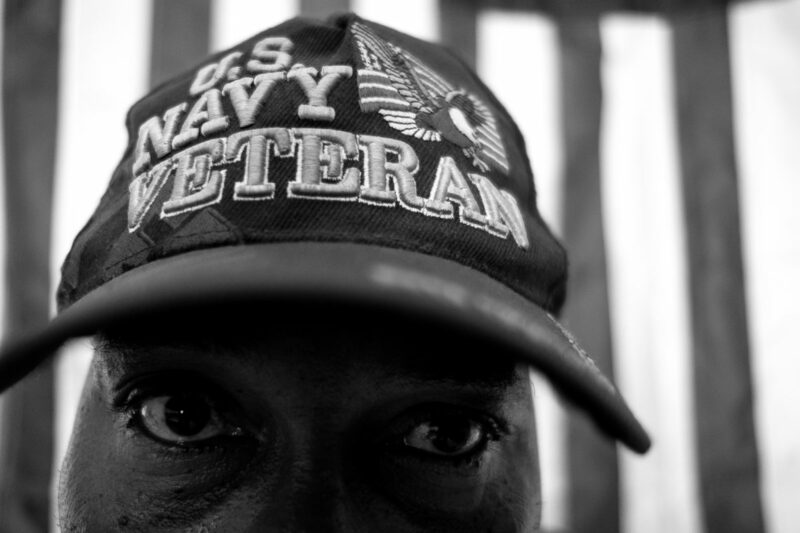 The two unidentified veterans chose to remain anonymous because of stigmas against deportees living in the Dominican Republic. According to both veterans, being a deportee in the country can cost a person their job and can make them vulnerable to extortion by authorities. 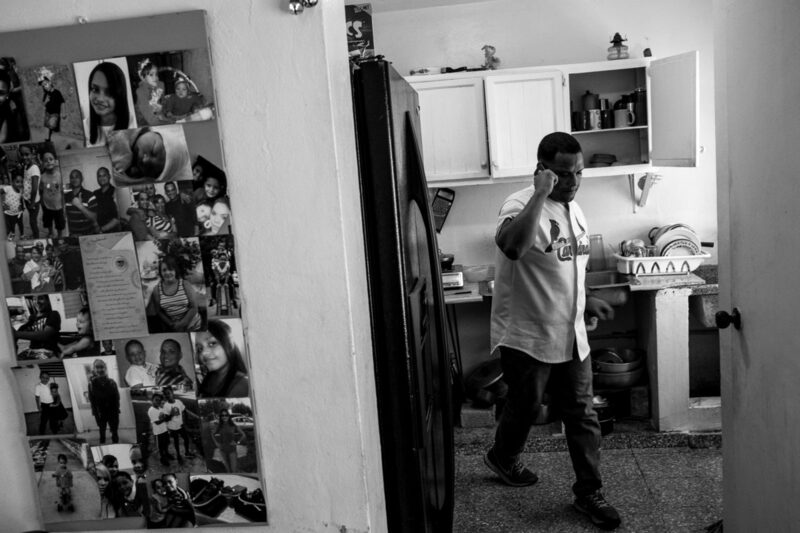 Deported U.S. Army veteran Felix Portorreal, 42, talks on the phone with a relative while inside his home in Santo Domingo, Dominican Republic, Wednesday, July 4, 2018. Portorreal served as a combat medic (91W) from 2000 to 2005. He was stationed in London during Operation Enduring Freedom where he provided support and medical assistance to troops returning from battle. Prescribed oxycodone by the V.A. for a back injury, Portorreal grew a dependency on opioids and next thing he knew, he was addicted. In 2009, Portorreal was arrested in possession of 80 pills of oxycodone and was charged with drug trafficking in Tampa, Florida. He was deported in 2009 upon completing his sentence. 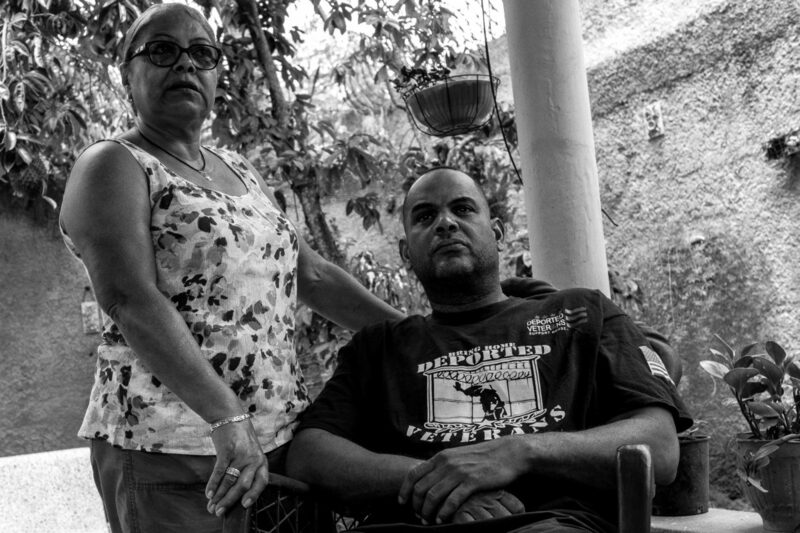 When Portorreal was deported, his aunt offered him an apartment on the condition that he cares for his sick uncle who is living with cancer. She knew he had medical training in the Army and was recently deported with nowhere to go. He has two children who are U.S. citizens and are living with their mother in Puerto Rico. 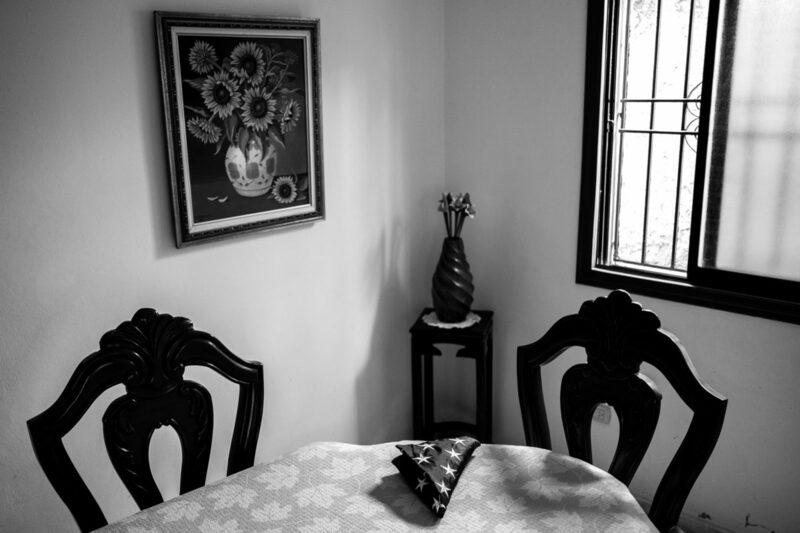 An American flag folded by repatriated U.S. Army veteran Hector Barajas-Varela lays on a table after being given to deported U.S. Army veteran Juan Alberto Garcia Santos during a visit to Santos' family residence in Santo Domingo, Dominican Republic on Sunday, July 1, 2018. The flag was handed down by Barajas-Varela to Santos after organizing a group of deported veterans to begin a resource center and support group for others alike in the Dominican Republic. Deported U.S. Marine Corps veteran Michael Hugo Evans, 40, cleans himself up inside his apartment in Ciudad Juárez, Chihuahua, México, Wednesday, July 25, 2018. Evans was adopted by an American family in 1984. He enlisted in the Marines as a green card holder in 1996 and was honorably discharged in 2000. During his military service, he was stationed in Camp Pendleton, California and was part of the first class to go through the Crucible, the final stage of a Marine recruit's training which includes food and sleep deprivation in addition to over 45 miles of marching during a 54-hour field exercise. In 2009, Evans was deported to México after completing a 52-month sentence for conspiracy to distribute narcotics. 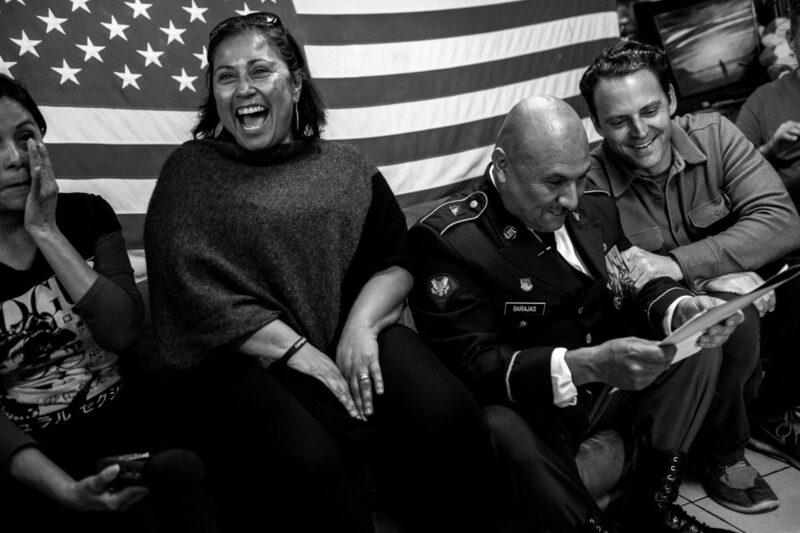 Deported mother Yolanda Varona, from left, Norma Chavez-Peterson, executive director of the ACLU of San Diego and Imperial counties, deported U.S. Army veteran Hector Barajas-Varela, and San Diego County Board of Supervisors candidate Nathan Fletcher, react after receiving a letter from immigration officials granting Barajas-Varela a naturalization ceremony in Tijuana, Mexico, Thursday, March 29, 2018. Lawyers for Barajas-Varela said the government informed them Thursday their client should attend a naturalization ceremony on April 13 in San Diego. U.S. Citizenship and Immigration Services confirmed the decision. U.S. Army veteran Hector Barajas-Varela, 41, celebrates as his parents Margarita, left, and Natividad Barajas, right, stand by his side after being sworn in as an American citizen at the USCIS field office in San Diego, California, Friday, April 13, 2018. Barajas-Varela was born in México and arrived to the United States at a young age becoming a legal permanent resident shortly after. In 1996, he enlisted in the Army as a green card holder at age 17. He served six years split with the 82nd Airborne and a medical unit in MOS Patient Administration before being honorably discharged in 2001. Shortly after his discharge, Barajas-Varela pleaded guilty to a felony conviction of firing a gun into a vehicle. Although no one was injured, he was sentenced to three years in prison. After completing his sentence, he was deported in 2004. Within six months, he decided to illegally re-enter the U.S. and was deported for life in 2010 after a traffic violation. In 2017, Barajas-Varela and two other deported veterans were granted pardons for their felony convictions by California Governor Jerry Brown. Susana Sandoval, 46, left, walks next to U.S. Marine Corps veteran Manuel Valenzuela, 66, as Wendy Hackwith and U.S. Army veteran Valente Valenzuela, 70, follow during a blessing of an RV in Canyon City, Colorado, Saturday, Sept. 22, 2018. The Valenzuela brothers are embarking on a road trip in an RV to San Diego's border, then across the United States with a final destination in Washington D.C. raising awareness for deported U.S. military veterans. 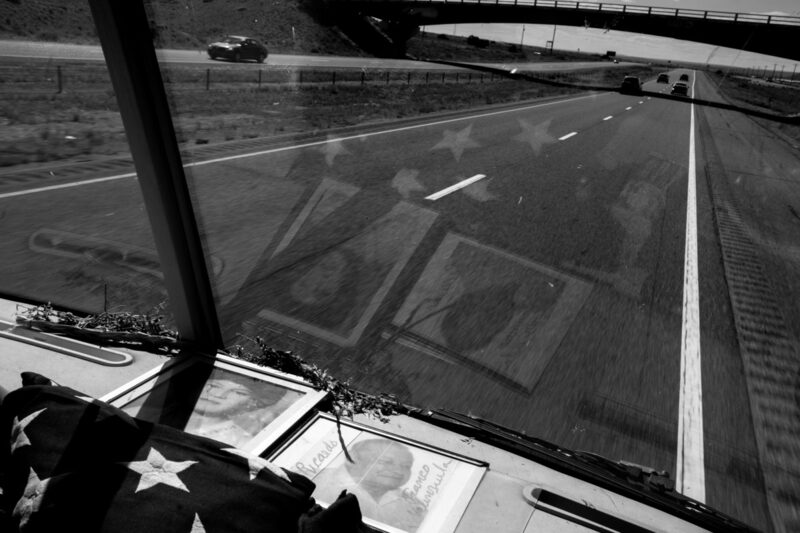 A framed photograph of the parents of U.S. Vietnam War veterans Manuel Valenzuela, 66, and Valente Valenzuela, 70, lays on the dashboard of their RV during a trip across America raising awareness for deported U.S. military veterans as they leave Albuquerque, New Mexico on Monday, Sept., 24, 2018 The Valenzuela brothers have been fighting deportation since 2009 for misdemeanor offenses which they completed sentences for. Their birth certificates classify them as resident aliens since their mother, a native from New Mexico, gave birth to them in México. Their deportation cases have been lingering in the courts. They might qualify as U.S. citizens as a result of their mother's citizenship status. U.S. Marine Corps and Vietnam War veteran Manuel Valenzuela visits the burial site of deported U.S. Marine Corps veteran Enrique Salas, right, in Reedley, California, Monday, October 8, 2018. Valenzuela and his older brother Valente, a U.S. Army and Vietnam War veteran, have been fighting deportation since 2009. Salas, who was deported and living in Tijuana, died en route to a hospital in the United States after being seriously injured in a car accident in Tijuana. 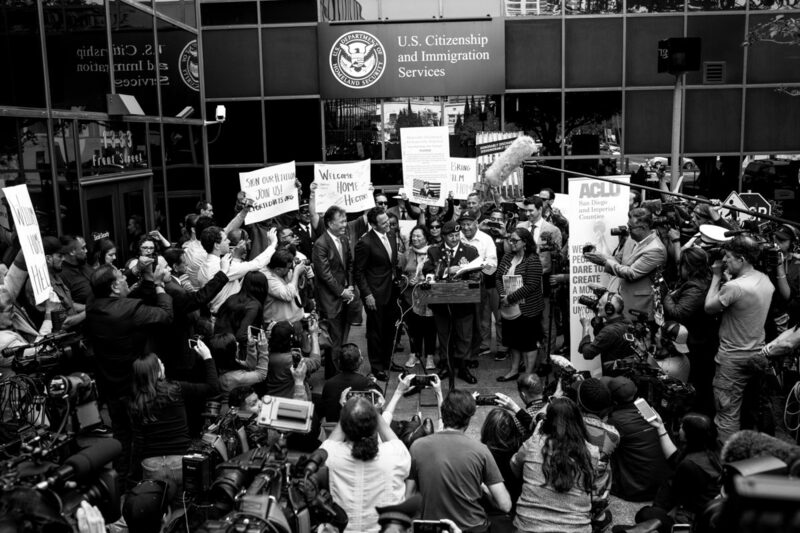 It took 10 days for an emergency humanitarian parole visa to be granted allowing Salas to receive better care in the United States. 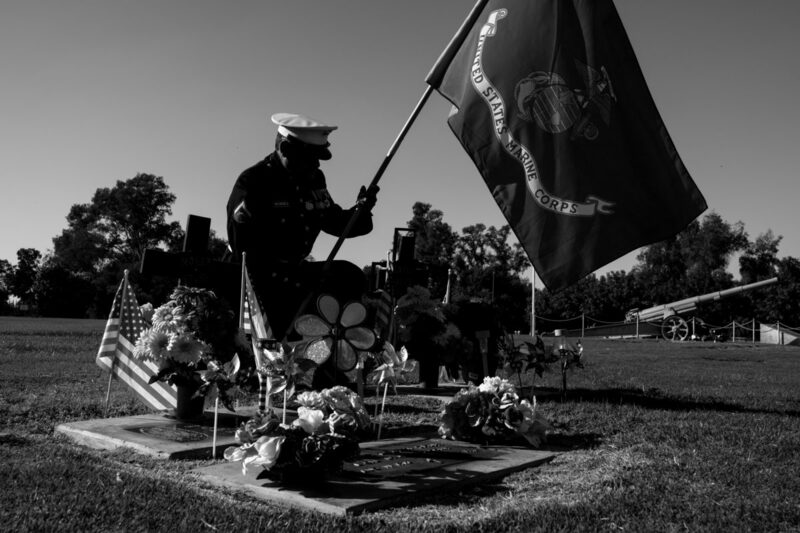 Salas, deported in 2006, was able to return to the U.S. only to be buried with military honors next to his younger brother, another fallen Marine. 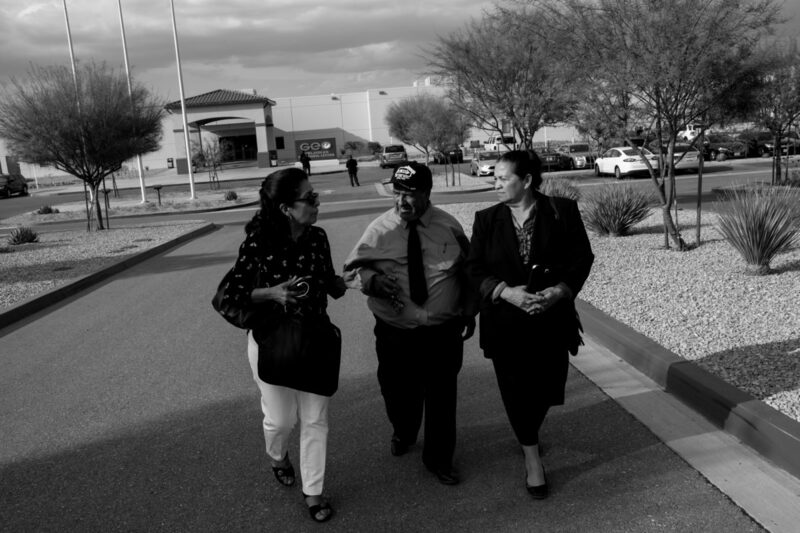 Graciela Alvarado, left, accompanies Jose Garcia, 64, and Martha Garcia, 56, after attending court for their son Jose Benitez Segovia, a U.S. Marine Corps combat veteran who is facing deportation to El Salvador, at the Adelanto Detention Facility in Adelanto, Calif., Monday, Oct. 1, 2018. 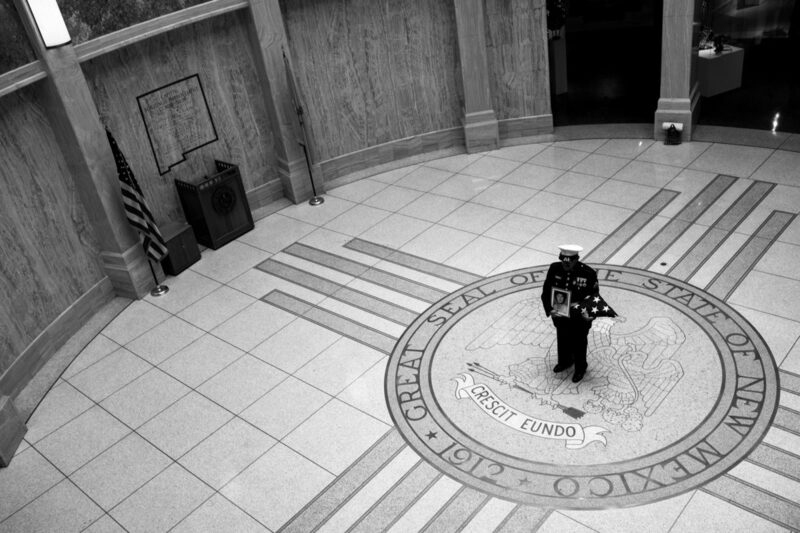 U.S. Marine Corps and Vietnam War veteran Manuel Valenzuela stands on the rotunda floor of the New Mexico State Capitol Building as he holds an American flag and a framed photograph of his mother in Sante Fe, New Mexico, Monday, Sept. 24, 2018. 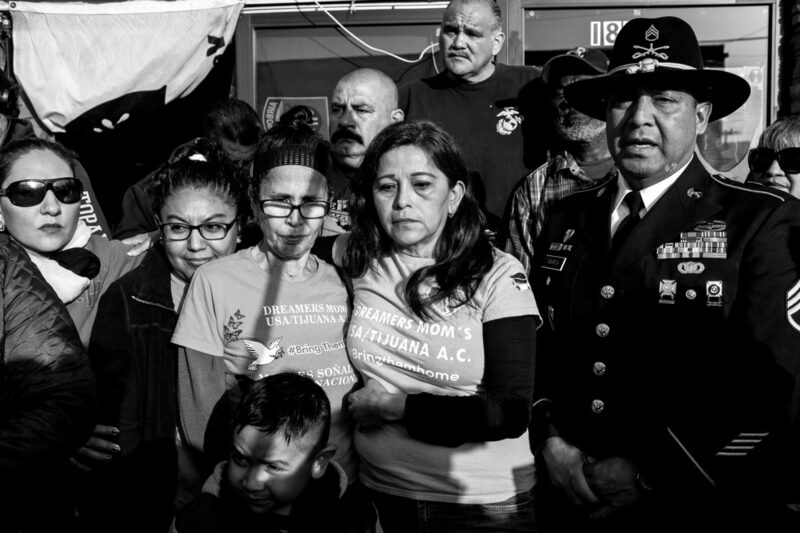 Valenzuela and his older brother Valente, a U.S. Army and Vietnam War veteran, have been fighting deportation since 2009 for misdemeanor offenses which they completed sentences for. Their birth certificates classify them as resident aliens since their mother, a native from New Mexico, gave birth to them in México. Their deportation cases have been lingering in the courts. They might qualify as U.S. citizens as a result of their mother's citizenship status. Death is the only guarantee of these troops returning home. A casket draped with stars and stripes will contain their body as it is lowered 6 feet deep into the same land that they swore their life to protect. Only those with an honorable discharge will have the opportunity to be buried with military honors in a national cemetery. An American flag will be given to their families honoring their service and sacrifice to the very nation that deported them. In 1996, President Bill Clinton enacted the Illegal Immigration Reform and Immigrant Responsibility Act shifting immigration policies and expanding the types of criminal convictions considered to be aggravated felonies eligible for deportation. 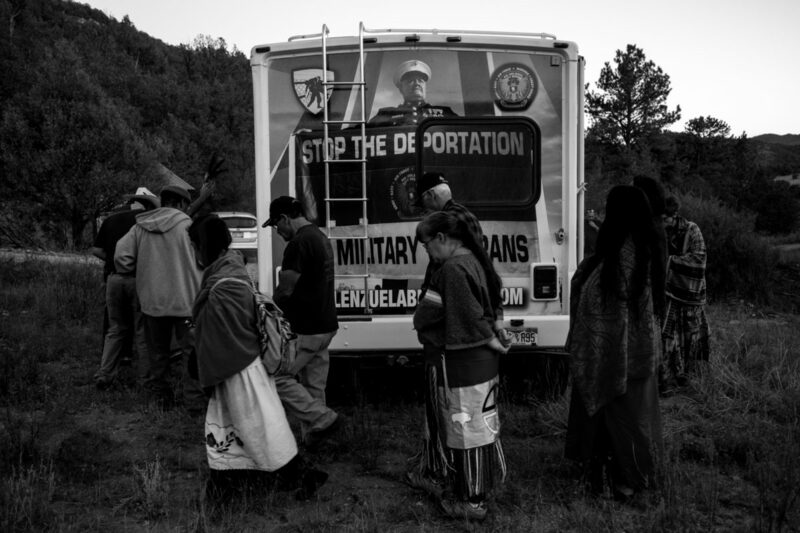 The law no longer considered military service in deportation cases. Within a decade of the immigration act, the United States deported 897,000 non-citizens following the completion of their criminal sentences according to a report by Human Rights Watch in 2009. Among these deportations include more than 3,000 United States military veterans deported to at least 34 countries—some of whom have served in Iraq, Afghanistan and Vietnam—according to the Texas Civil Rights Project. Upon their deportation, these veterans have lost access to their Social Security and some Department of Veterans Affairs (VA) benefits. Although they are still able to apply for and receive VA disability and pension checks, they lose access to VA clinics and hospitals due to their inability to enter the United States. 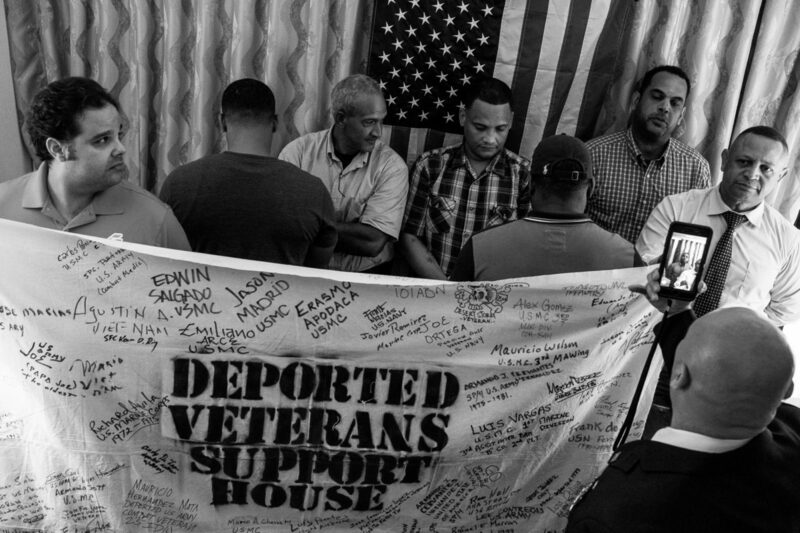 Deported veterans have reported experiencing issues ranging from inadequate healthcare, housing, employment, food security, substance abuse, negative stigmas and being “othered” for being a deportee in their birth-country. Some deported veterans have also reported having to conceal their military background from fear of discrimination, losing employment, as well as being extorted and targeted by organized crime and government authorities. Legal pathways for deported U.S. military veterans seeking to return to the United States varies. Only those that received an honorable discharge are entitled to a burial with military honors in a U.S. national cemetery. However, all deported veterans have the options of seeking a pardon for their deportable crimes, and if the pardons are granted, it may allow them to reopen and accelerate their case to immigration officials. Deported veterans may also qualify to reapply for a green card if their felony convictions are cleared or reduced to misdemeanors. 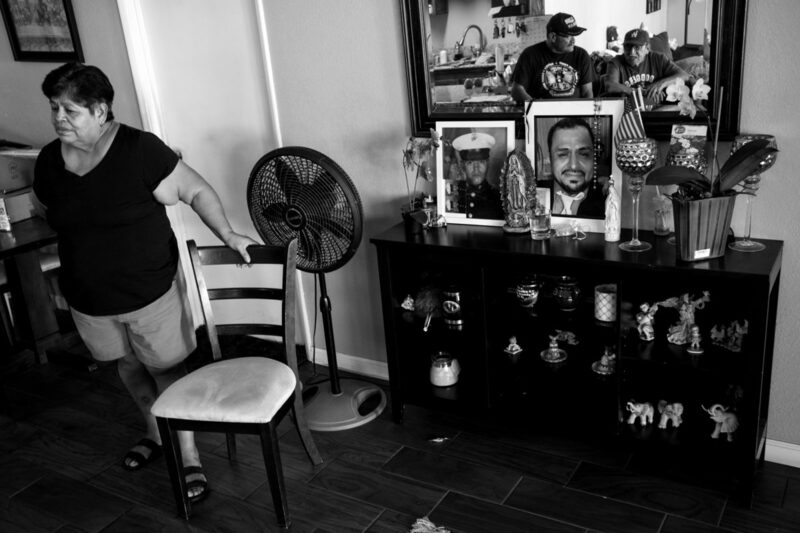 Not all deported U.S. military veterans wish to return home. Some have established new lives and family abroad, while others want nothing to do with the United States after being deported from the only country they knew as home. However, most share the desire to receive their VA benefits and healthcare that they were entitled to before their time in immigration detention. This ongoing project seeks to explore the issues facing deported U.S. military veterans and their families. The project is currently expanding to include military green-card holders that are applying to become a citizen and those that are currently living in the United States and are facing the uncertainty of deportation.